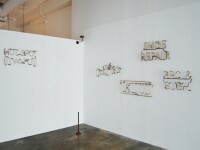 GUSFORD | los angeles is pleased to present the first Los Angeles solo exhibition by Seattle-based collective SuttonBeresCuller. 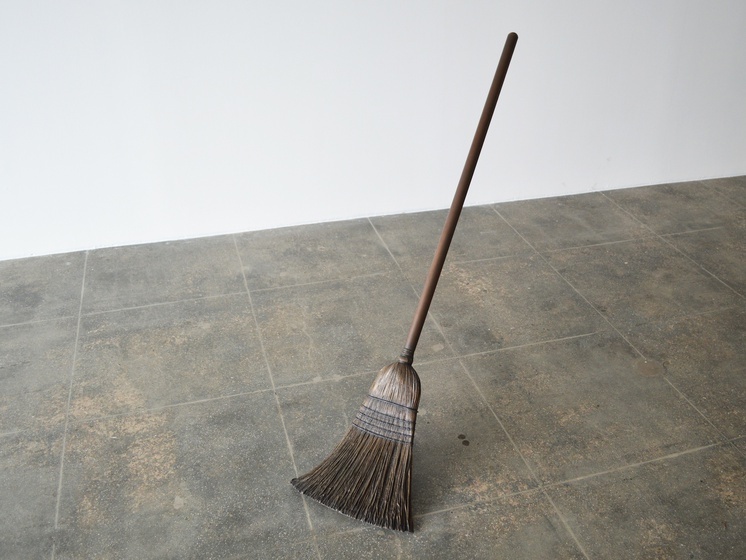 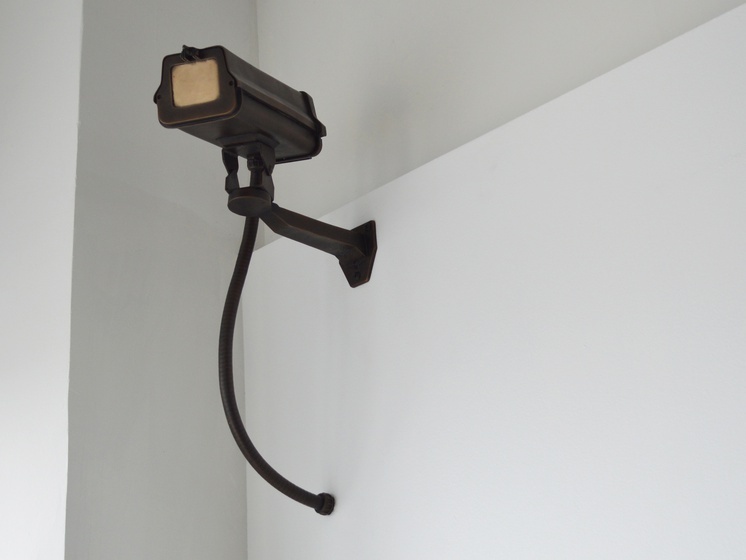 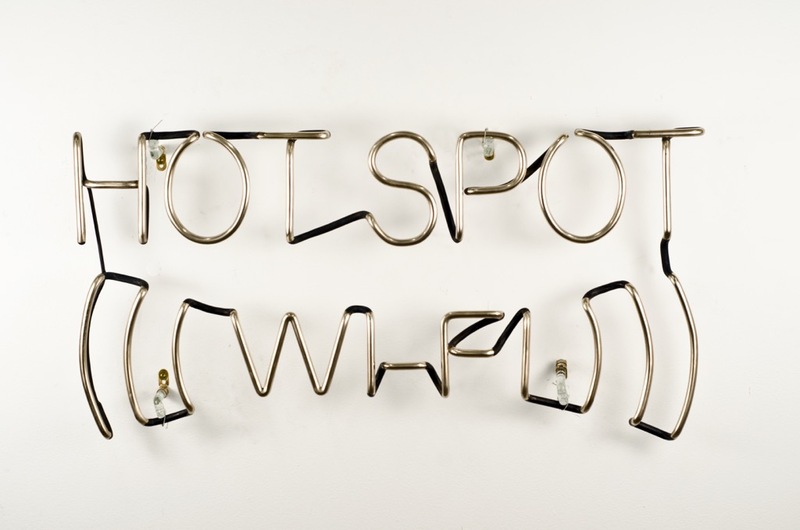 Working in a collaborative manner, John Sutton, Ben Beres and Zac Culler create sculpture, site-specific installations and public art environments that aim to provoke and engage, encouraging the viewer to really question the reality of what they are seeing. 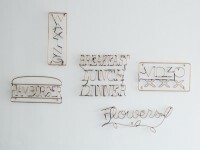 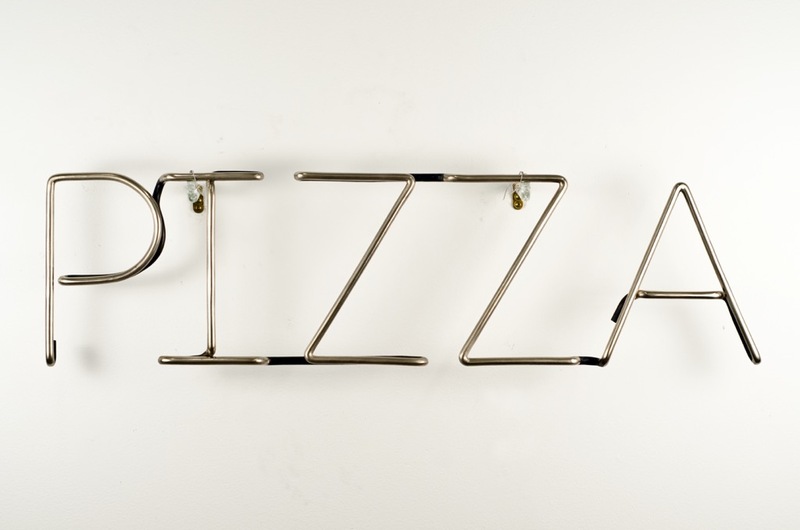 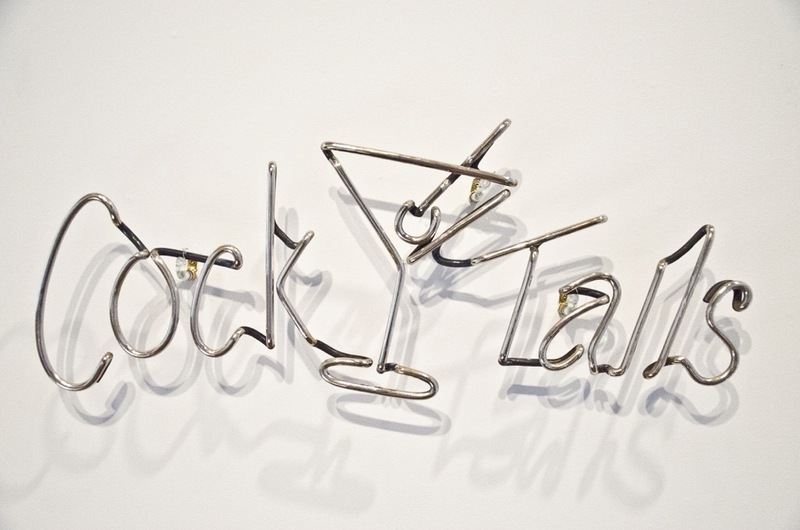 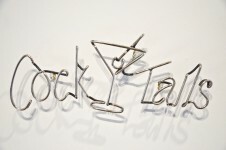 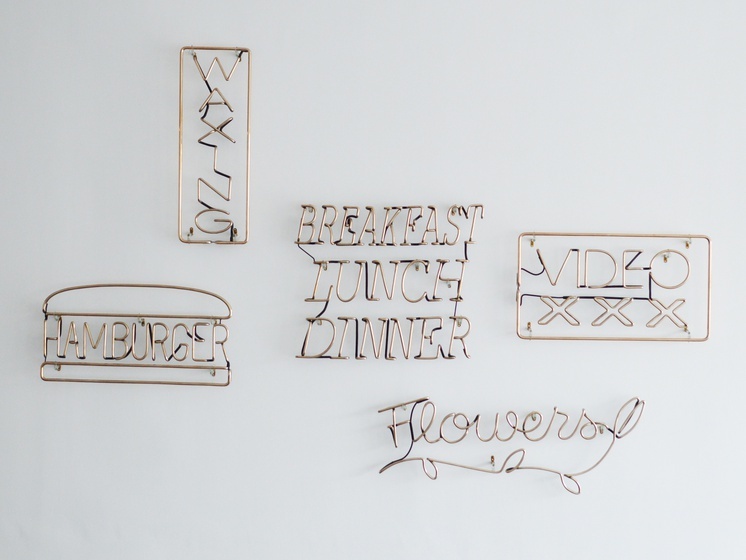 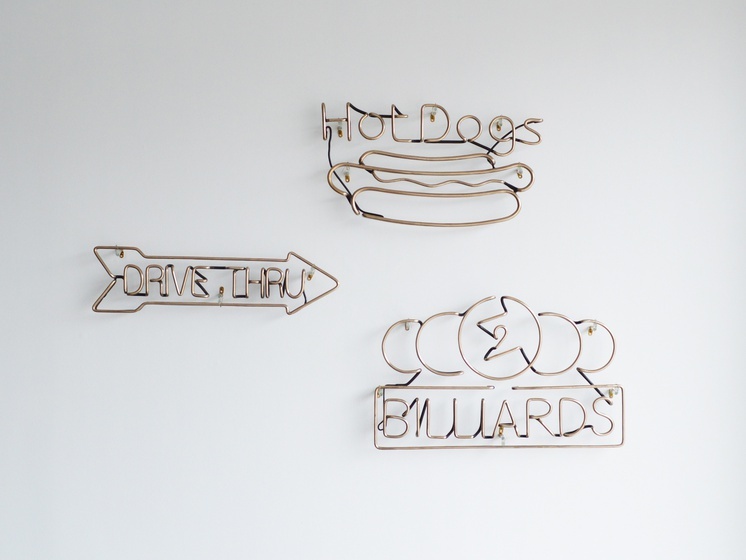 For Chasing that Neon Rainbow, the trio has created a new body of sculptural works focusing on bronze representations of classic neon signs commonly found in shops, bars and restaurants. 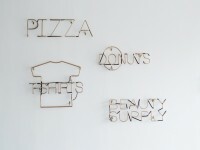 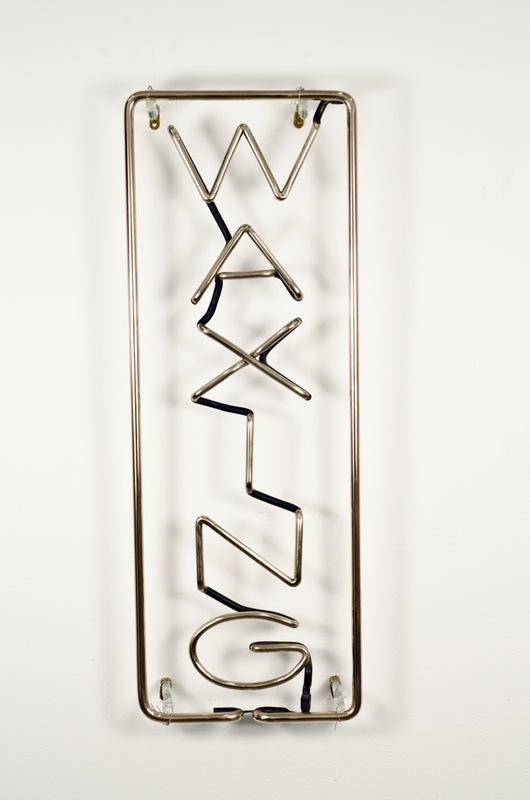 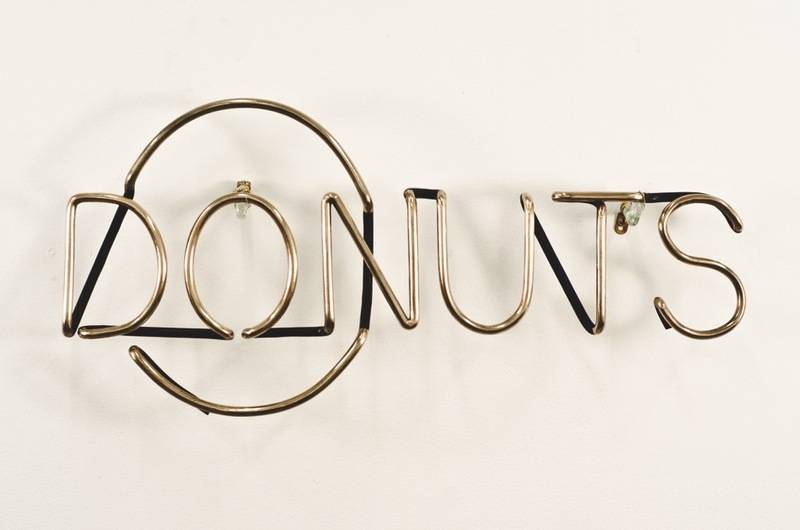 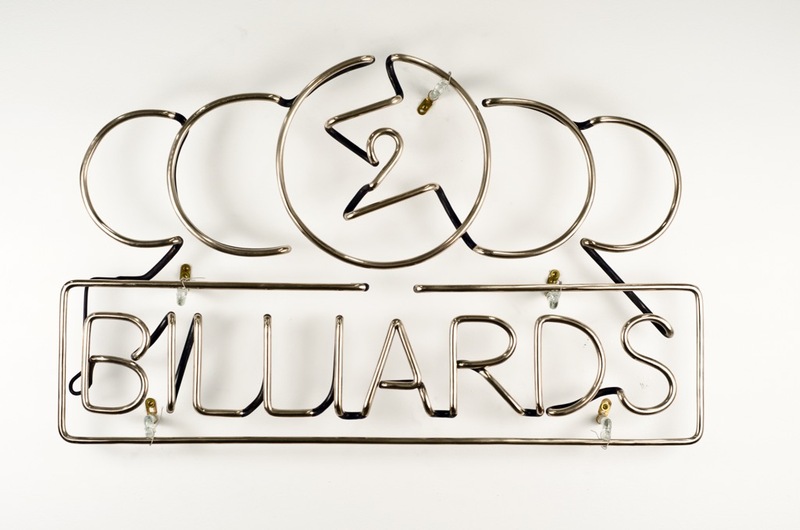 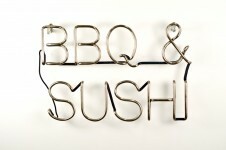 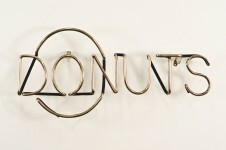 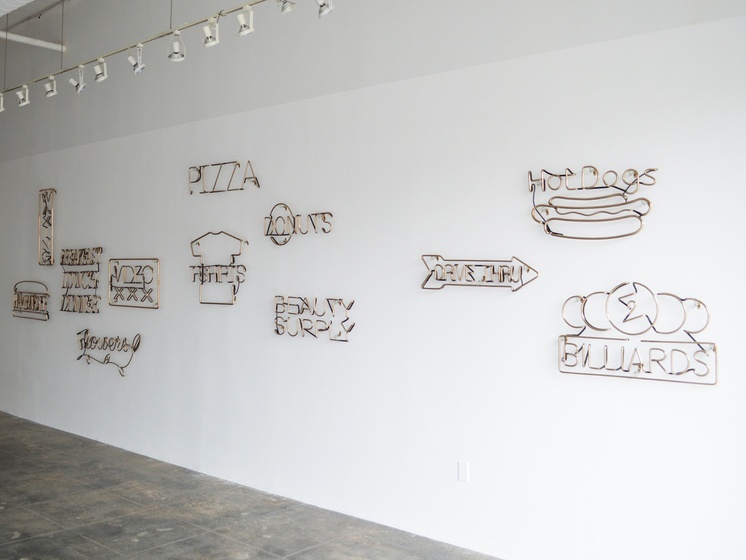 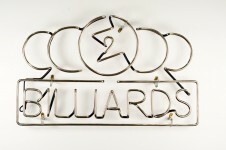 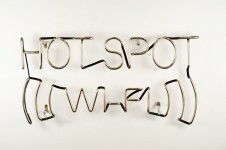 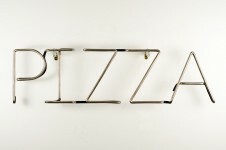 Imbued with SuttonBeresCuller’s signature humor and sense of the absurd, commercial signs advertising the presence of products and services are cast in bronze. 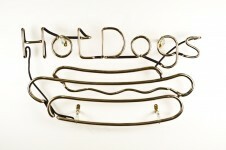 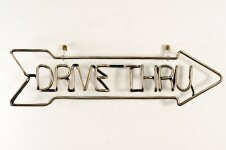 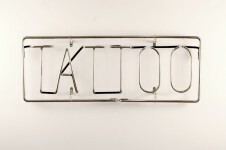 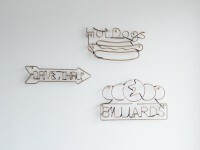 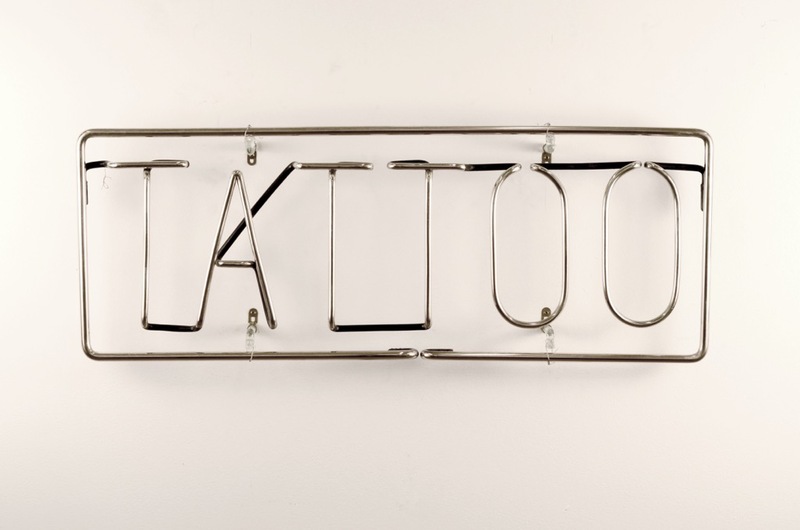 Reading such things as Hot Dogs, Tattoo, Drive Thru and Wi Fi, these works represent an aged era whose epicenter originated in Los Angeles the birthplace of neon lighting in America. 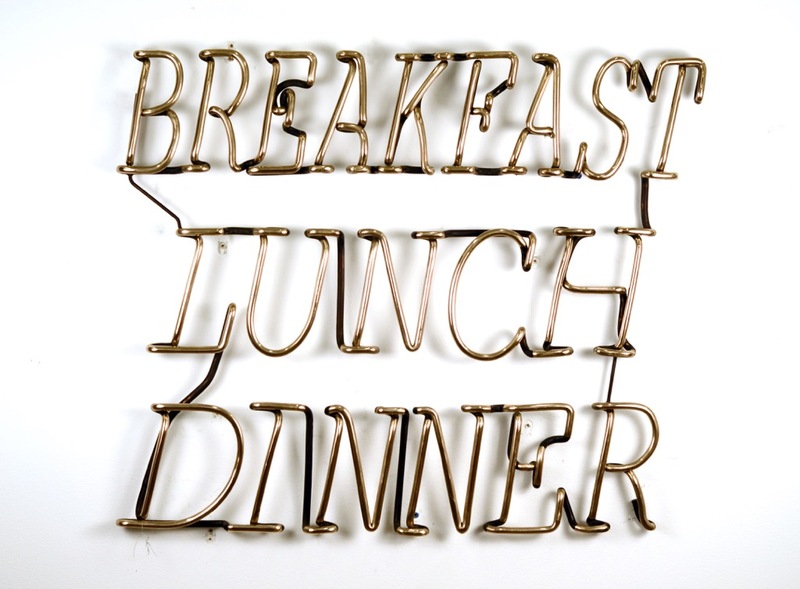 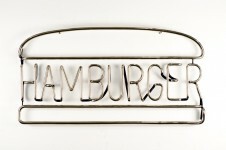 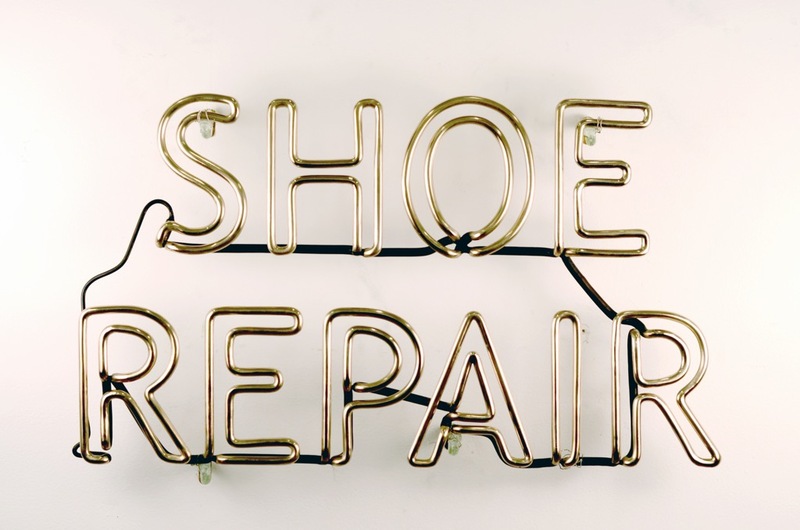 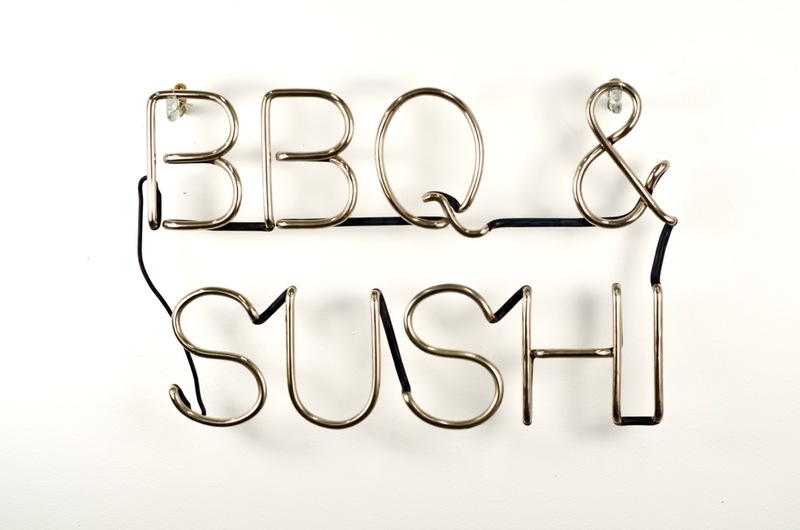 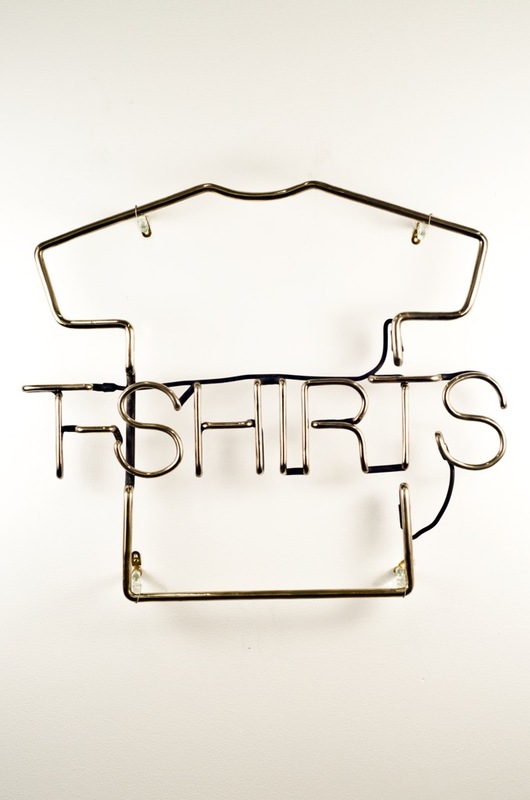 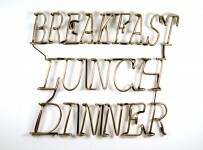 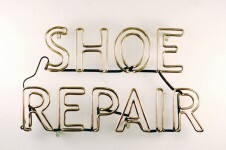 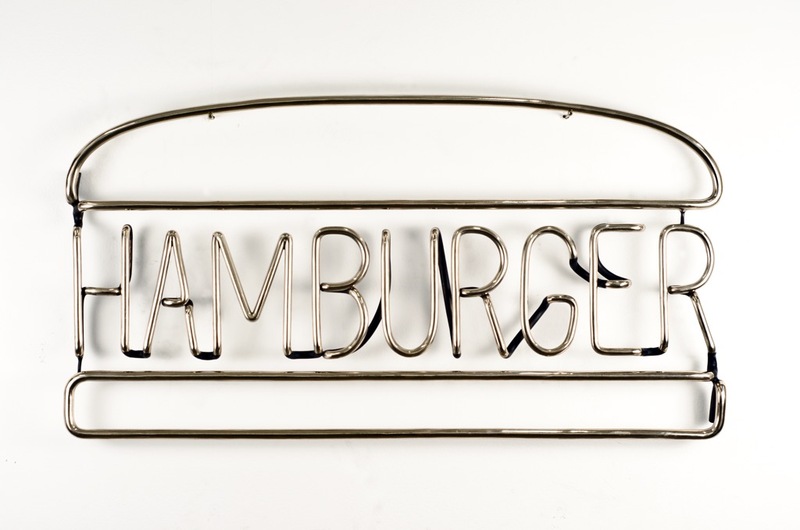 Originally associated with advertising, neon is now commonly used in contemporary artistic practices. 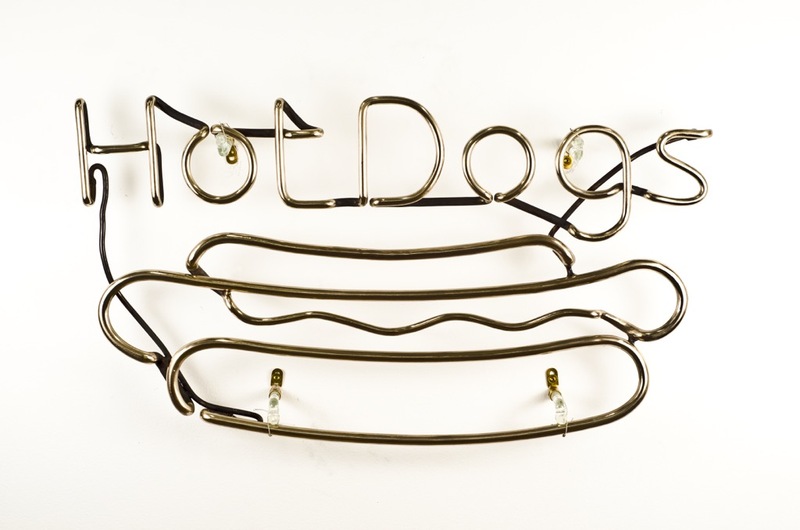 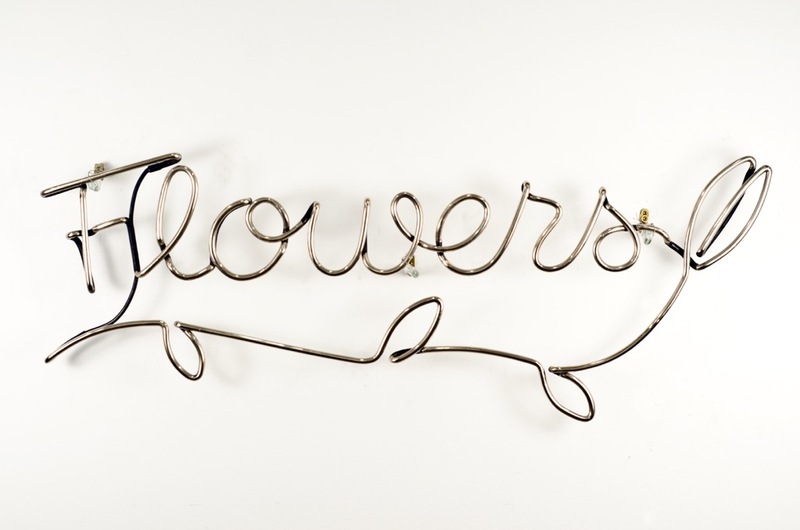 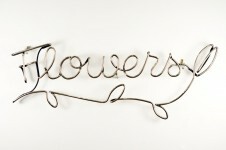 In these works, the artists have playfully juxtaposed the classical history of bronze with the modern history of neon, with the results challenging the audience to question both function and content. 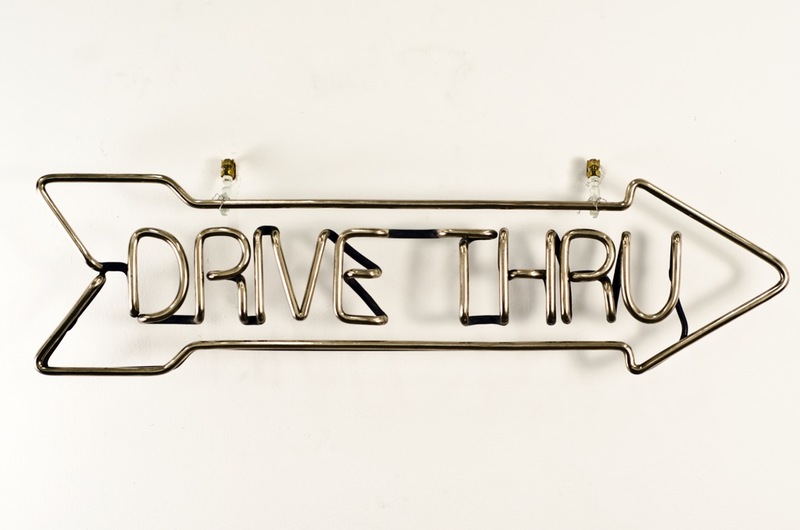 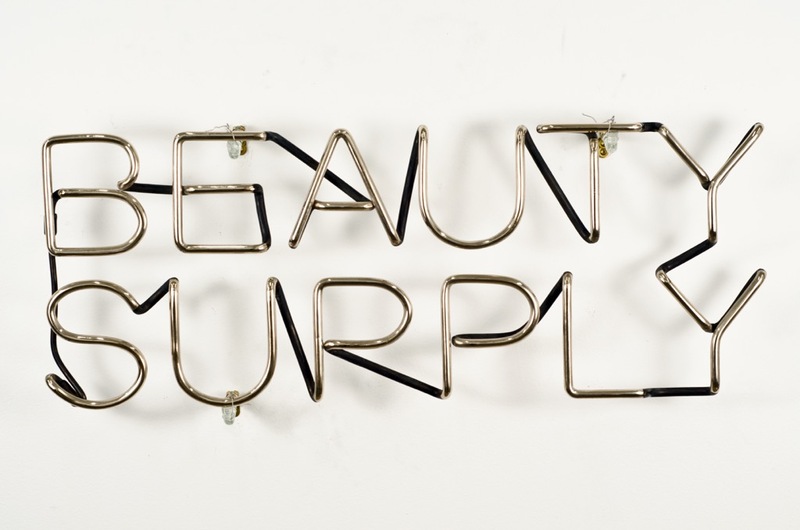 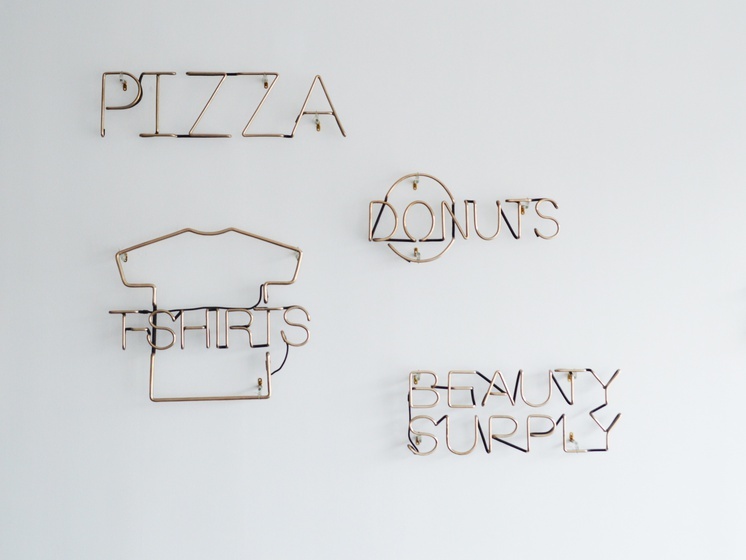 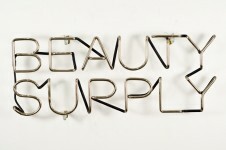 Here, SuttonBeresCuller have created a series of hanging sculptures that repurpose iconic images, transforming beacons of consumerism into empty signifiers that evoke a sense of nostalgia. 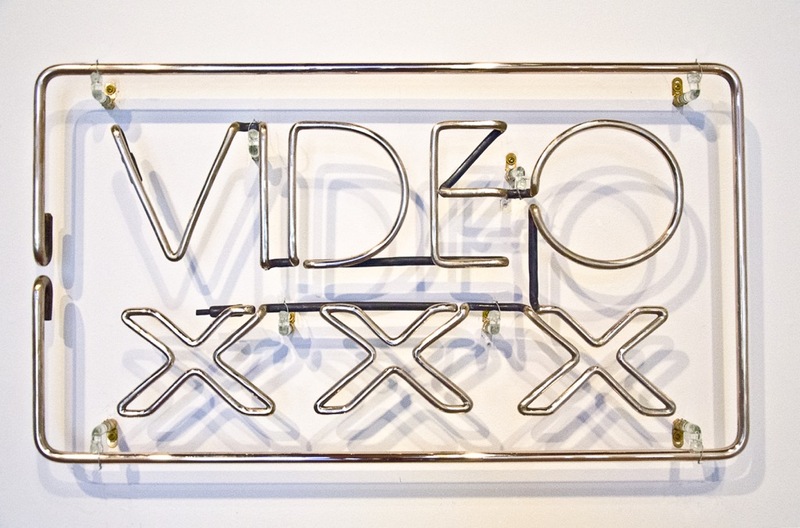 In Chasing that Neon Rainbow, the artists engage with the practices of advertising, sculpture and contemporary art, to create a body of work whose title asks the viewer to never give up searching.